How Can NCYCA Help You? NCYCA is dedicated to helping camps have a Voice in the State of North Carolina and as well as other federal issues that camps may be facing. In recent years Summer Camps and similar outdoor programs in North Carolina have been faced with a number of issues including building codes, permits, health regulations, school calendars, and even sales tax. The unfortunate realization of the past is that camps did not have One Voice that could be heard from legislatures. The NCYCA is that voice. Camps and summer programs in North Carolina need to work together to help our cause. Join us in this venture. If you are interested in joining the NCYCA, please look over the following documents and then fill out the application. Send the application with fees to the address listed on the application. If you have any questions, feel free to contact the Executive Director. 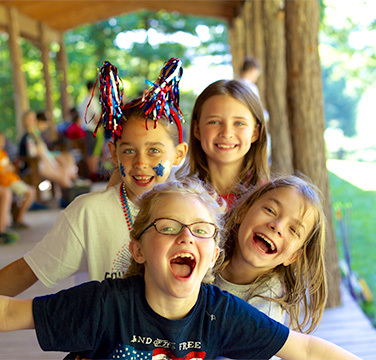 NCYCA is an organization that strengthens and expands the educational, environmental and recreational opportunities provided by organized camps in North Carolina. It operates as a 501(c)(6) non-profit organization governed by an elected Board of Directors. As such, NCYCA does not audit complicity in its members’ adherence to the following principles. Members of NCYCA recognize and accept their responsibility to deliver high-quality summer camp programs, to maintain a superior level of professionalism, to demonstrate integrity and fairness in all camp operations and communications, and to maintain the highest level of safety, both physical and emotional, for all staff and participants.